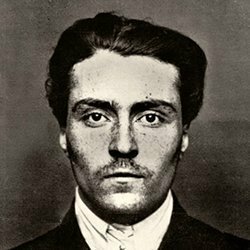 Victor Serge, born Victor Lvovich Kibalchich, was a Russian revolutionary and writer. Originally an anarchist, he joined the Bolsheviks five months after arriving in Petrograd in January 1919 and later worked for the Comintern as a journalist, editor and translator. He was critical of the Stalinist regime and remained a revolutionary Marxist until his death. He is best remembered for his Memoirs of a Revolutionary and series of seven ‘witness-novels’ chronicling the lives of revolutionaries of the first half of the 20th Century.